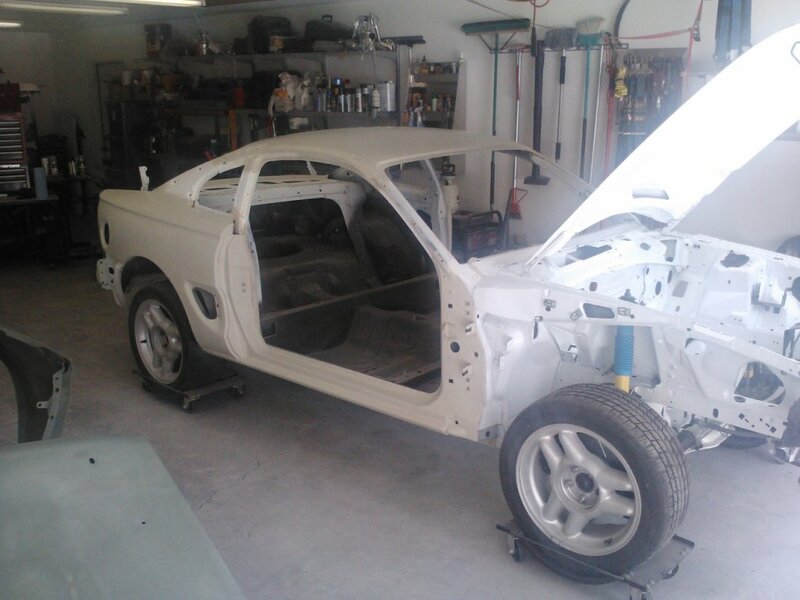 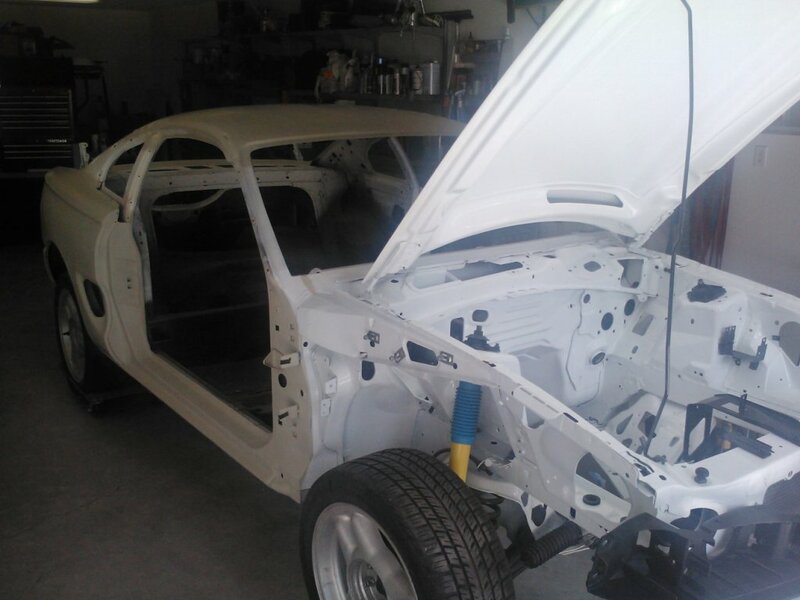 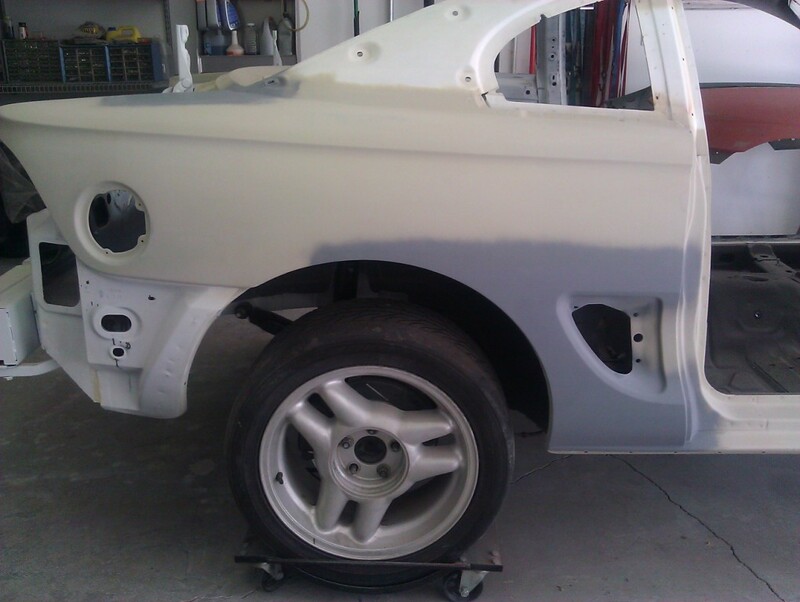 The time has come to start block sanding the primer and fixing the imperfections that are found. 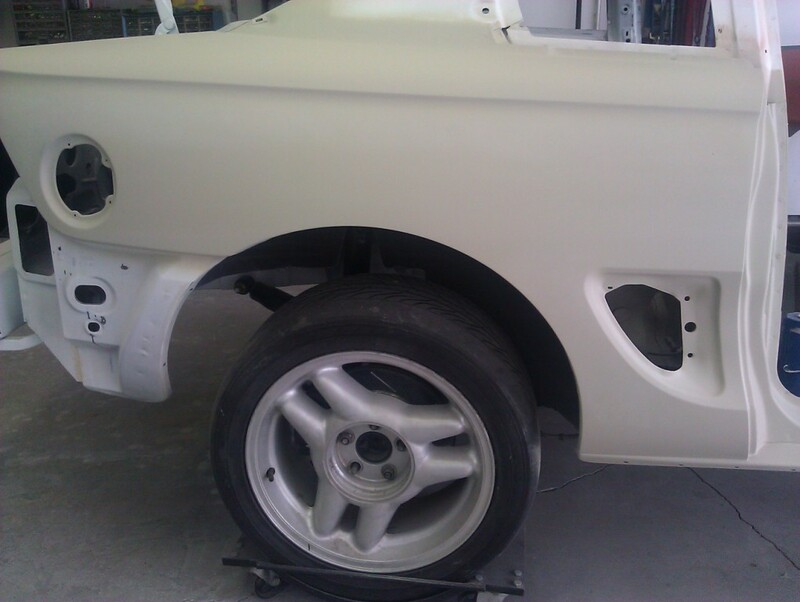 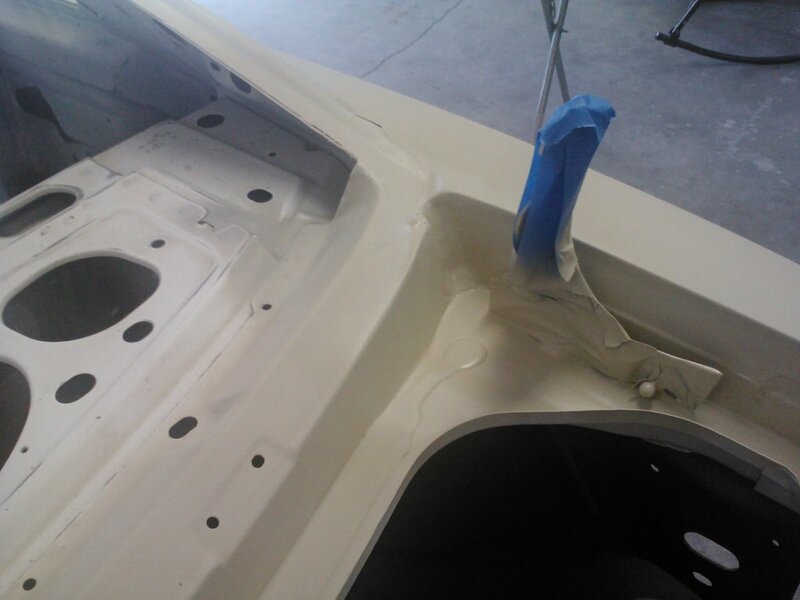 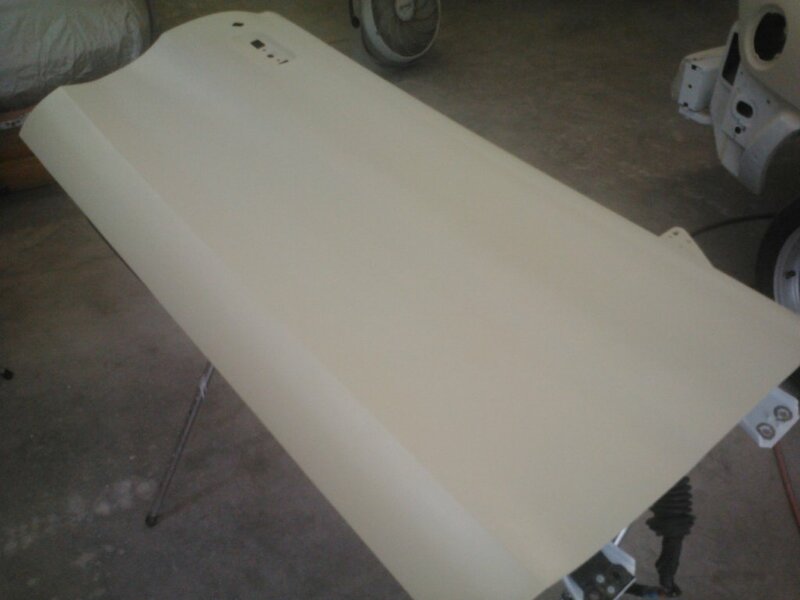 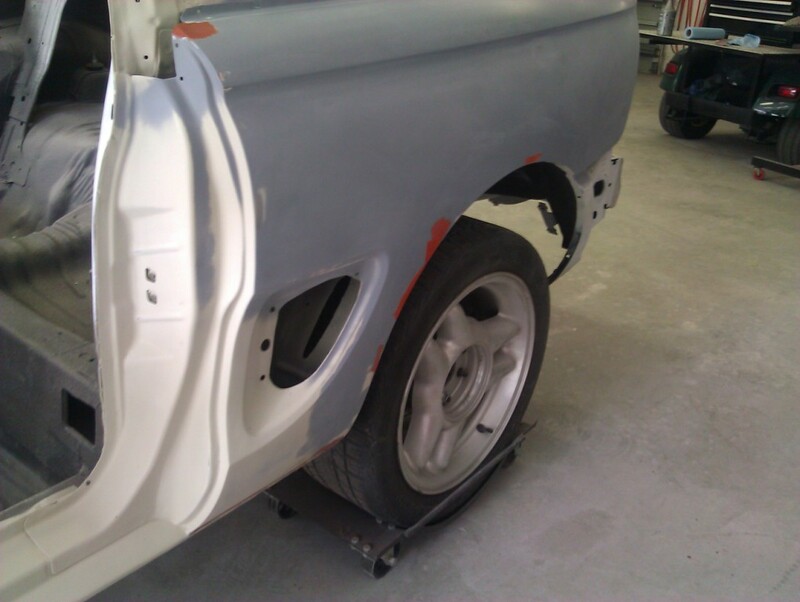 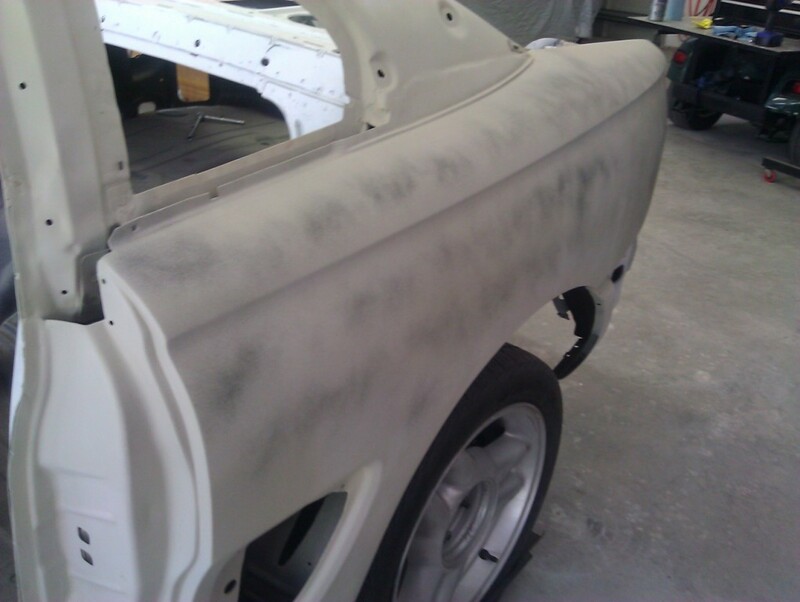 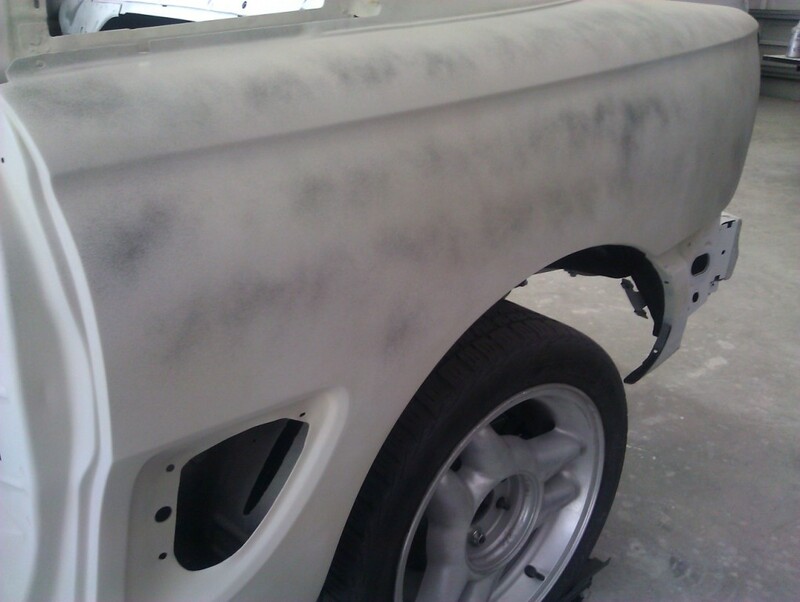 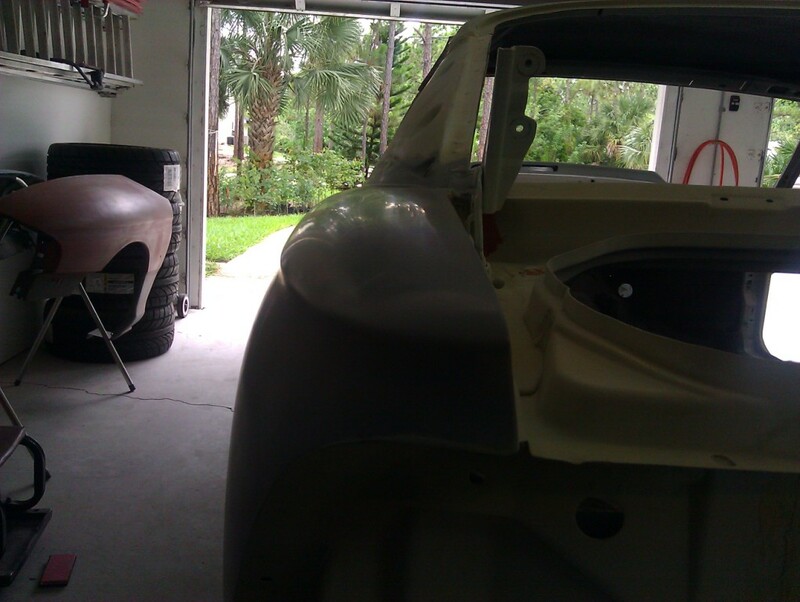 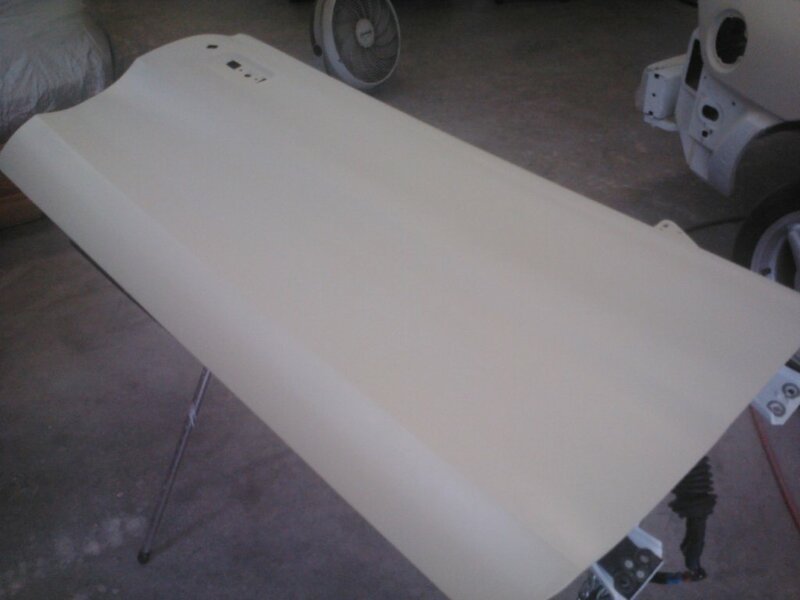 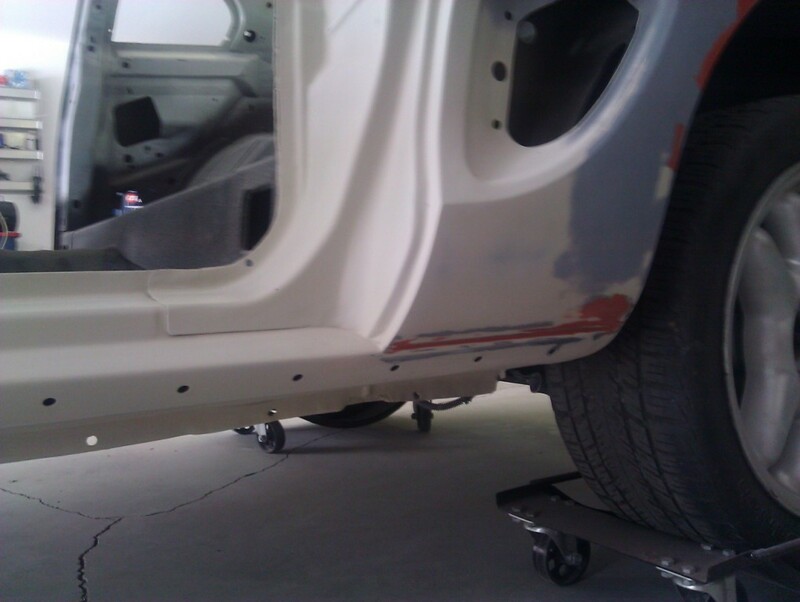 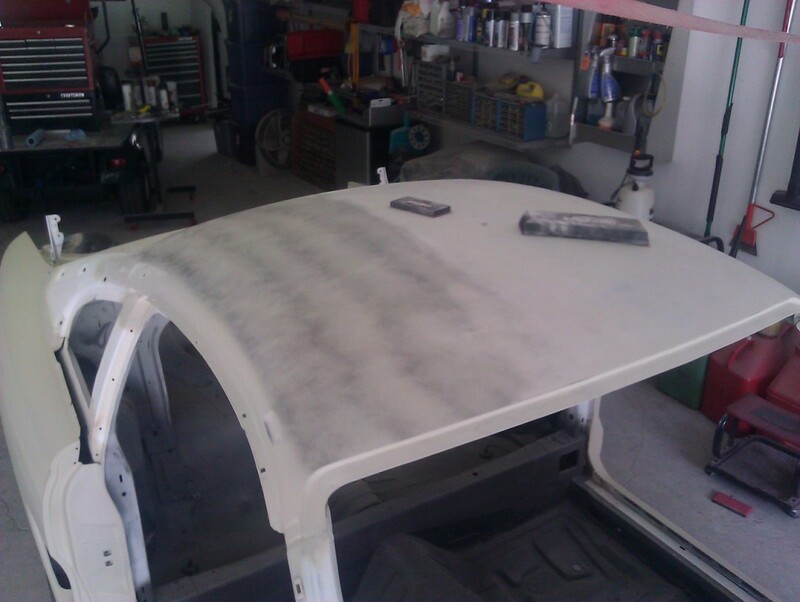 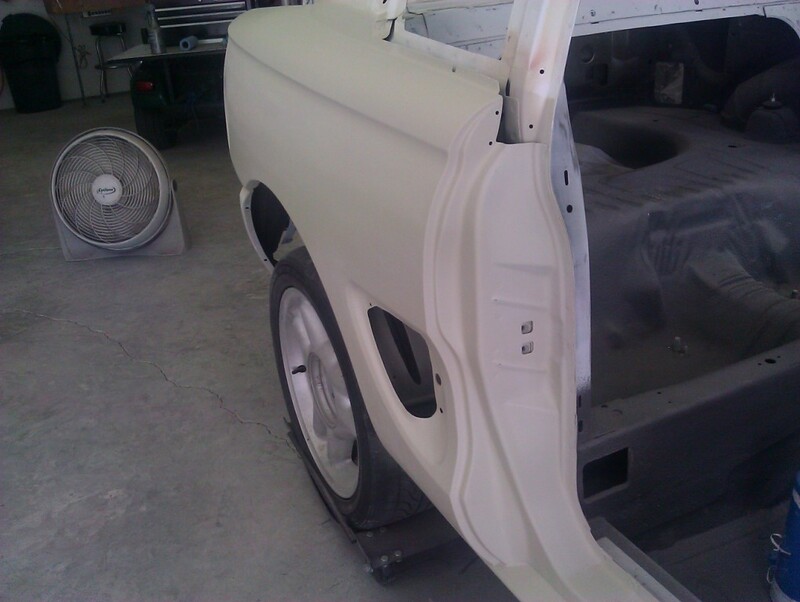 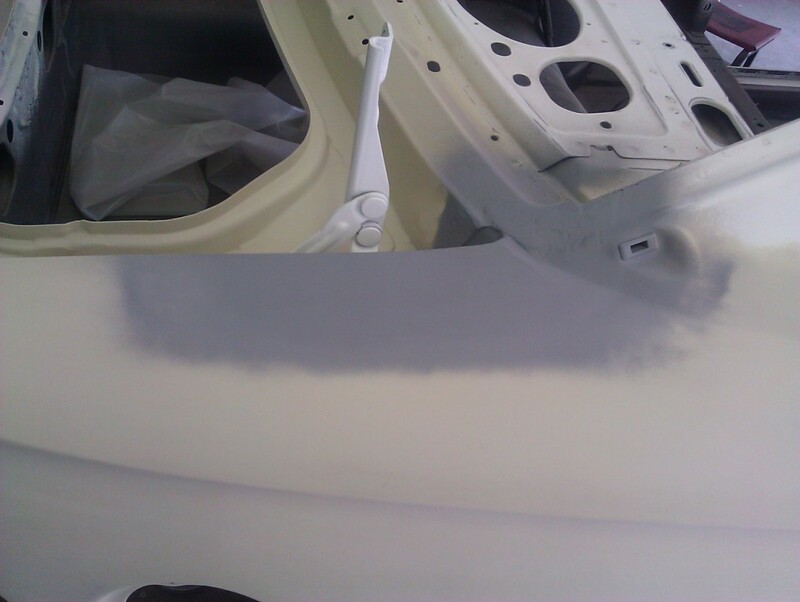 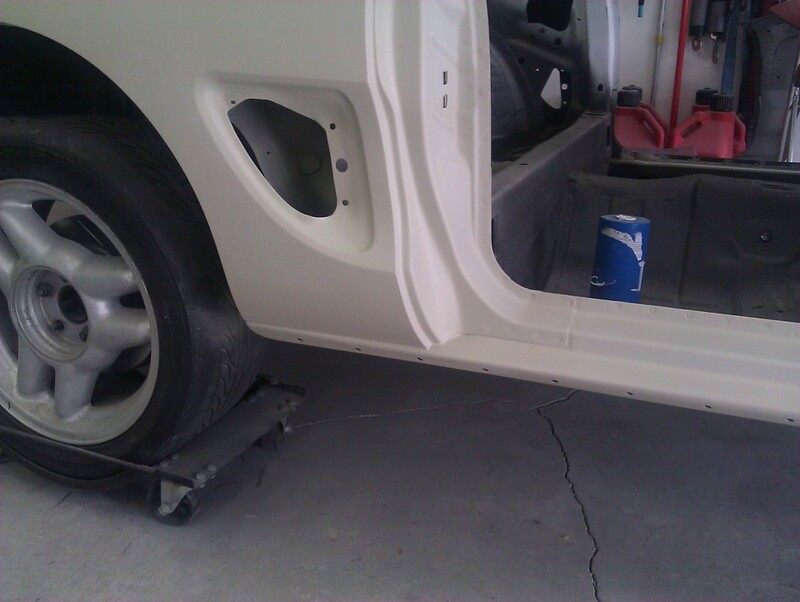 A light misting of guide coat on the quarter panels and roof help to locate any low spots. 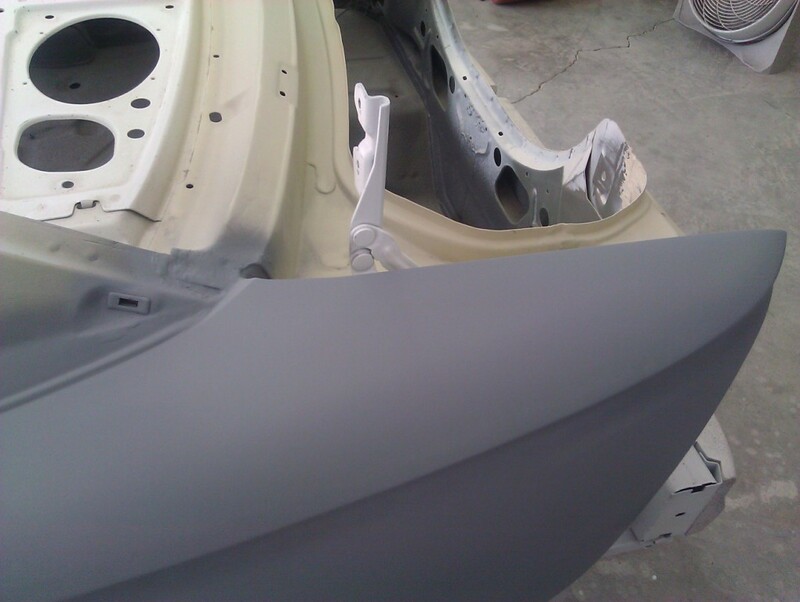 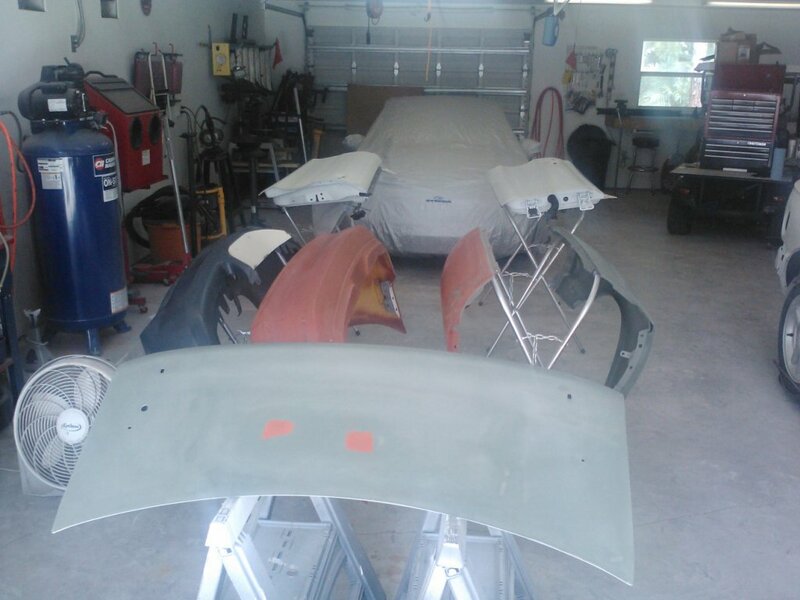 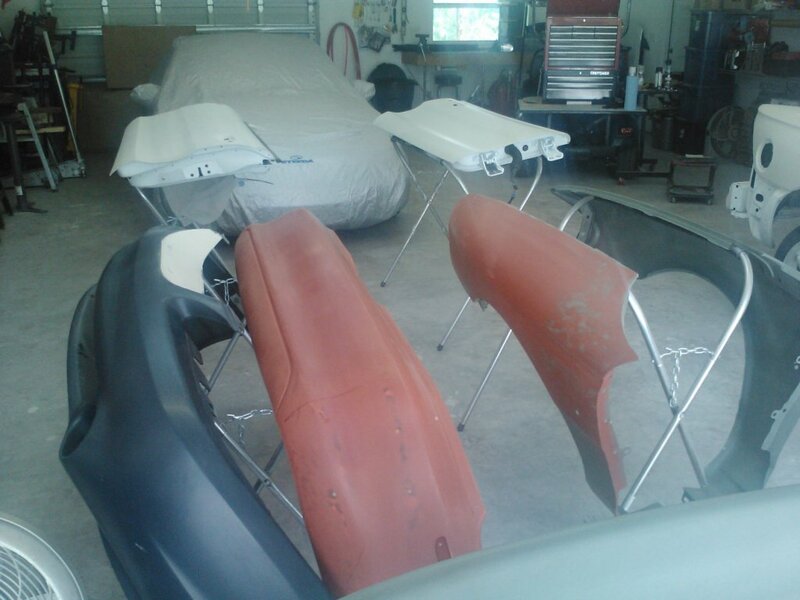 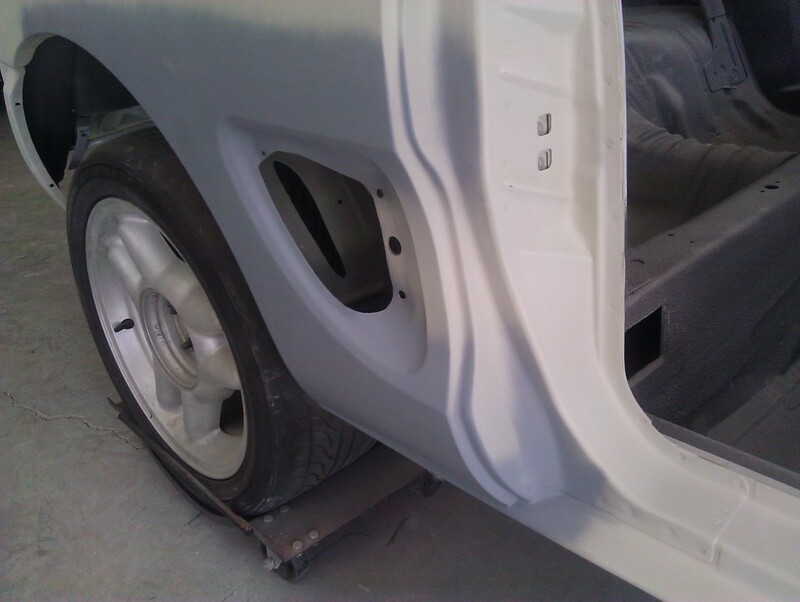 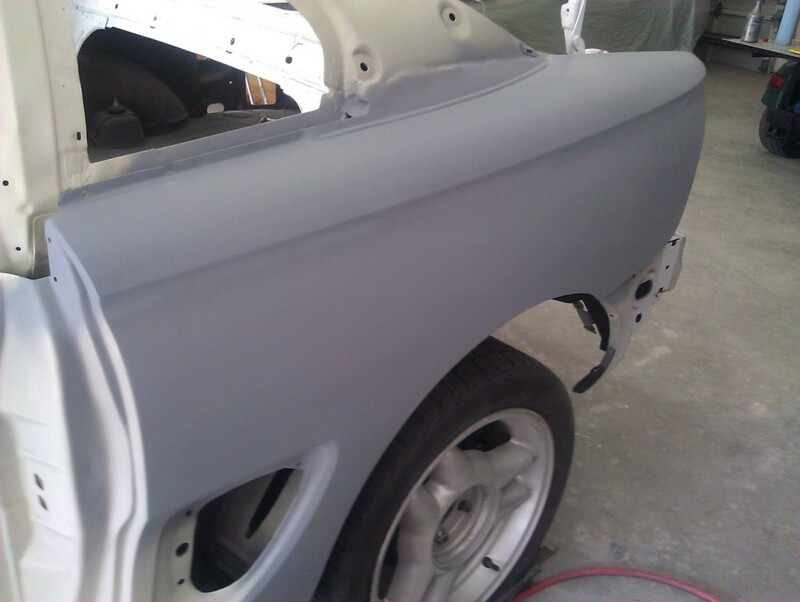 Some of them could be leveled with a coat of filler primer, indicated by the gray or red color. 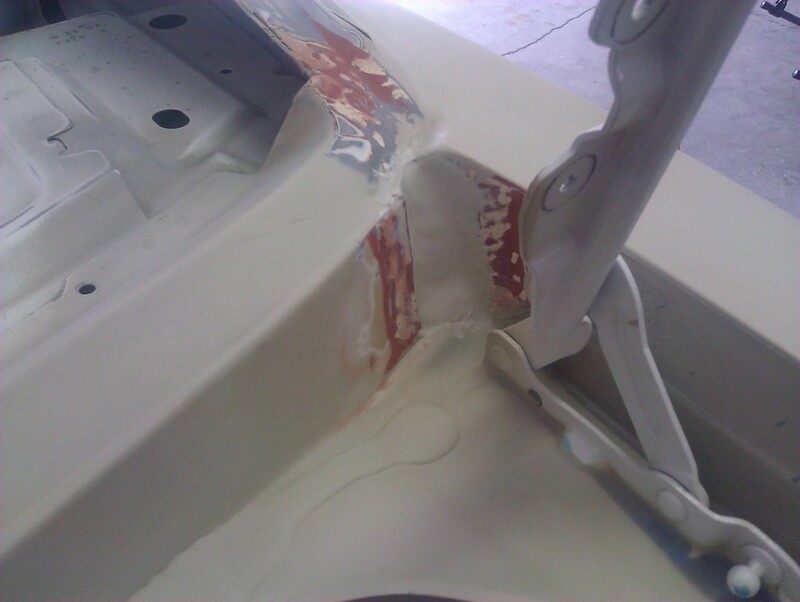 Others required spot putty to fix. 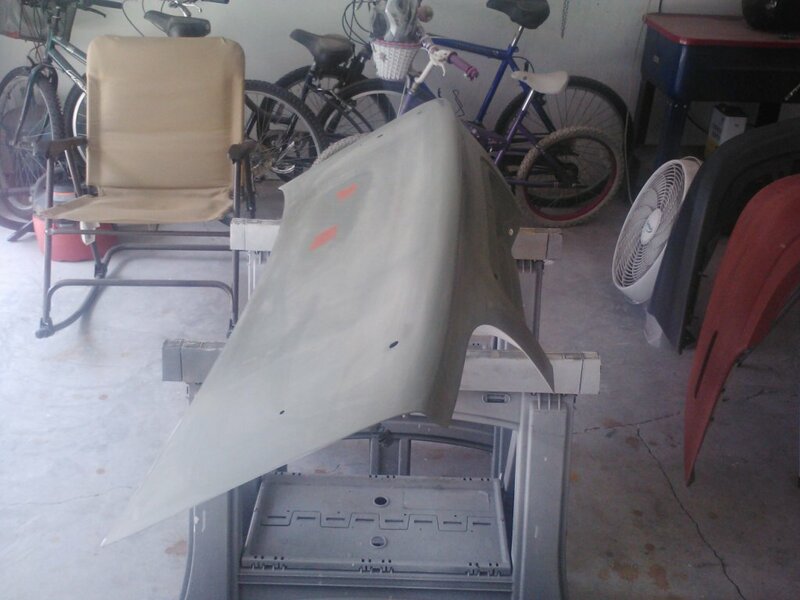 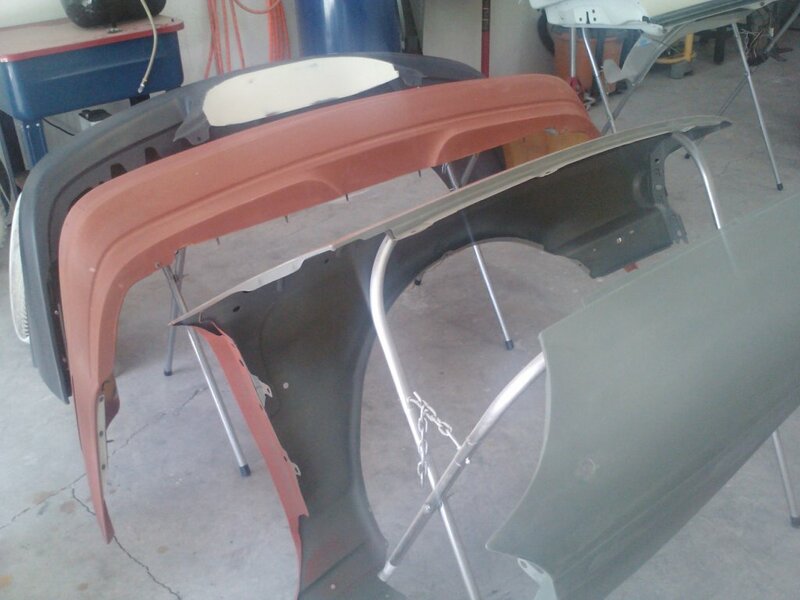 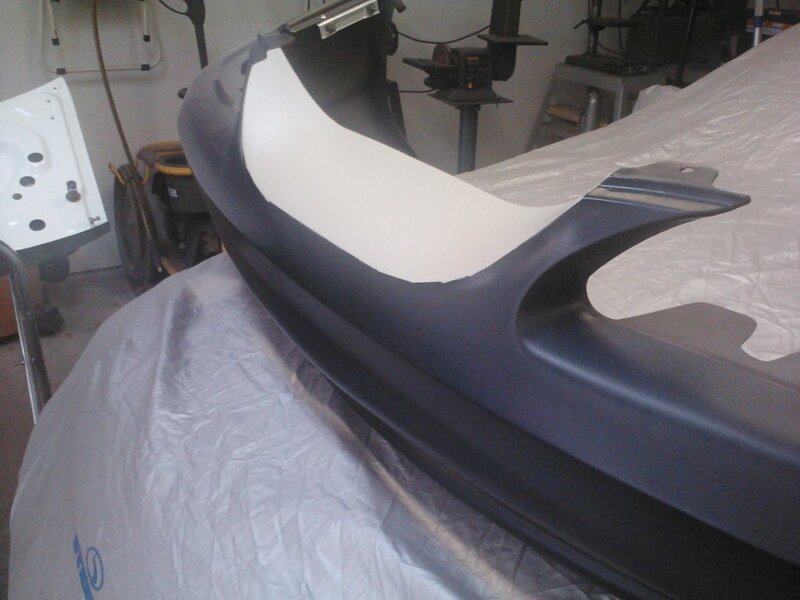 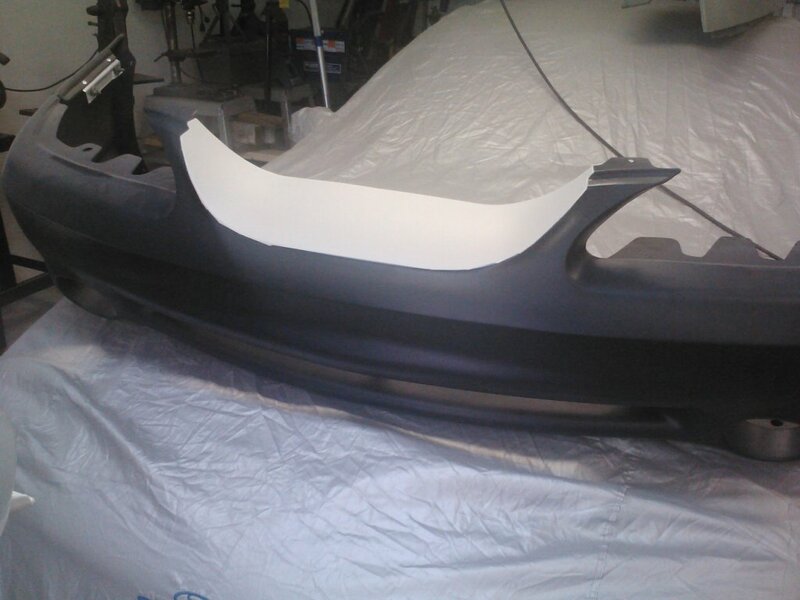 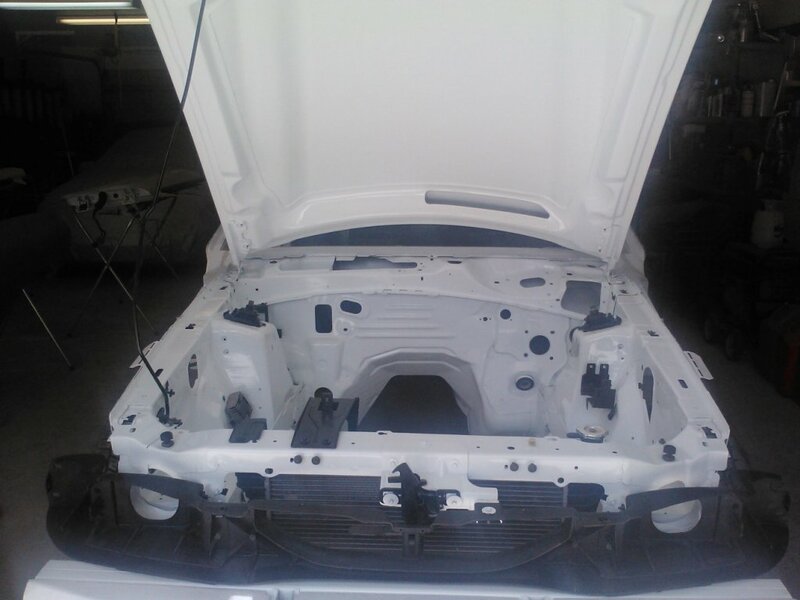 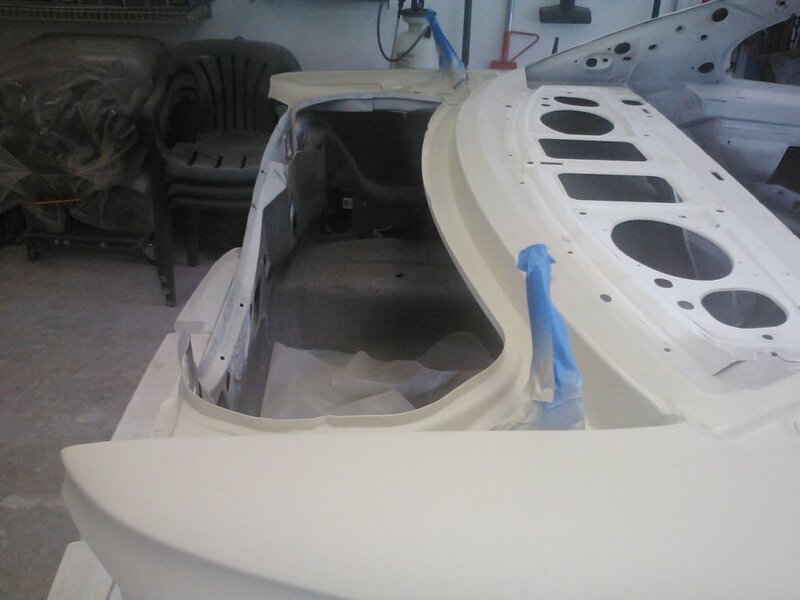 The front bumper cover had a bad spot in the center from the molding process. 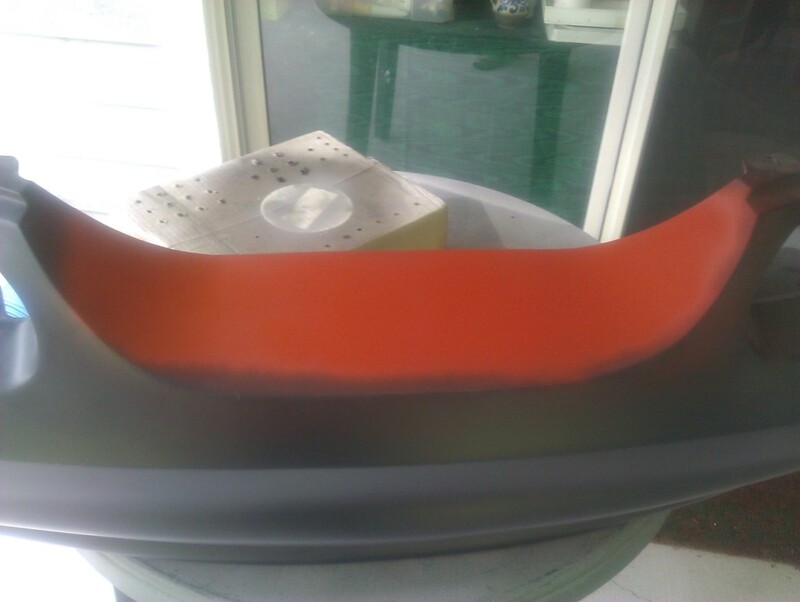 I mixed up some urethane filler and took care of it. 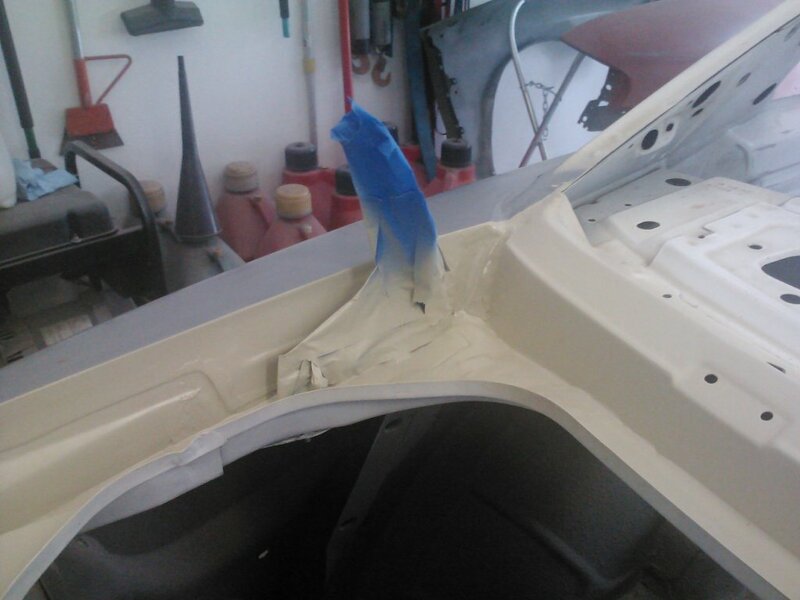 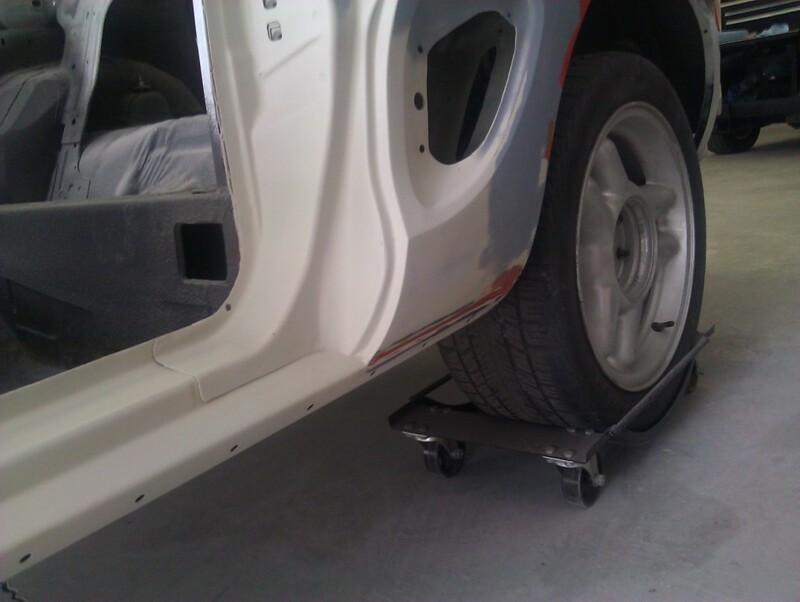 At this time, I recovered the seams in the corners of the trunk opening with a different seam sealer. 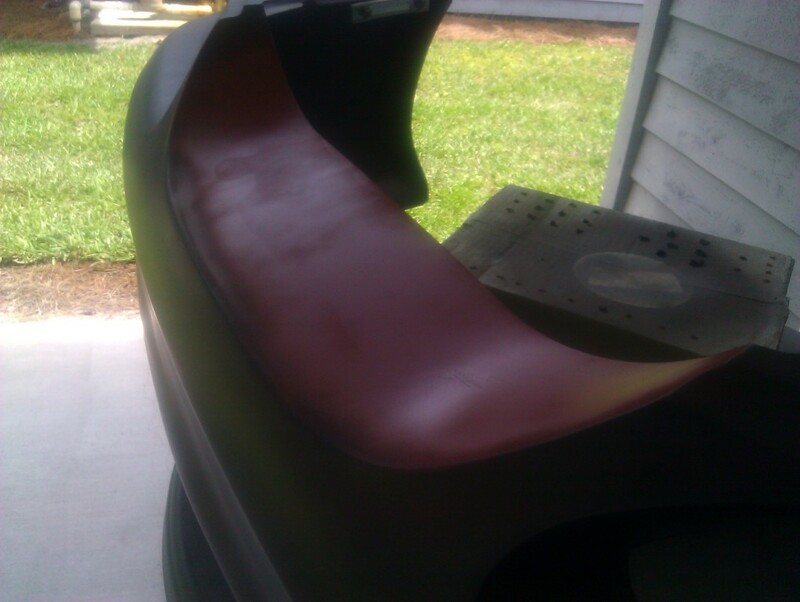 I found out the trick to a smooth surface on the seams is to cover your fingers with paint thinner while working the sealer. 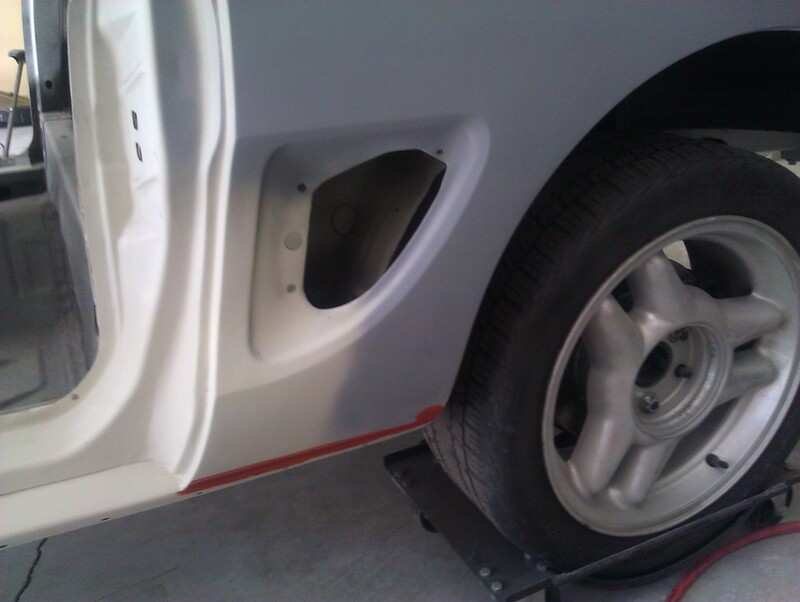 This keeps it from sticking to your fingers. 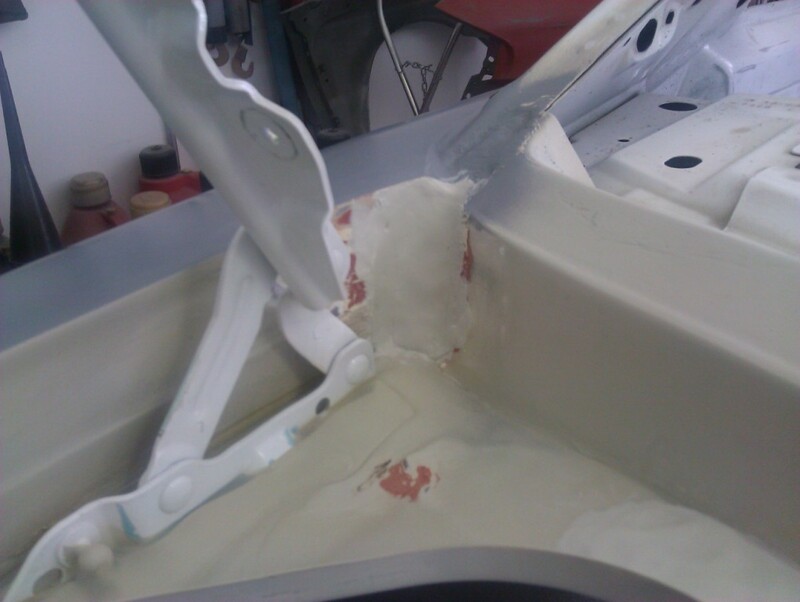 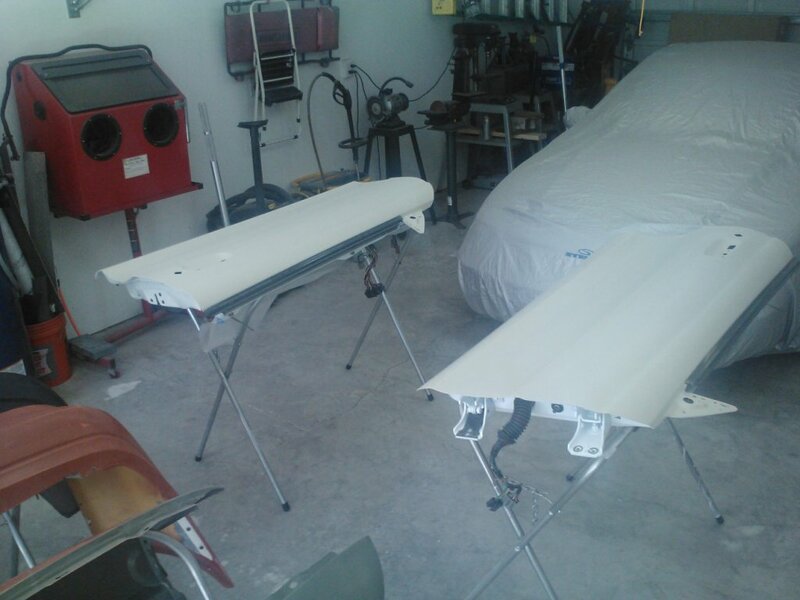 Once done, all the surfaces were given a final coat of epoxy primer and blocked one more time. 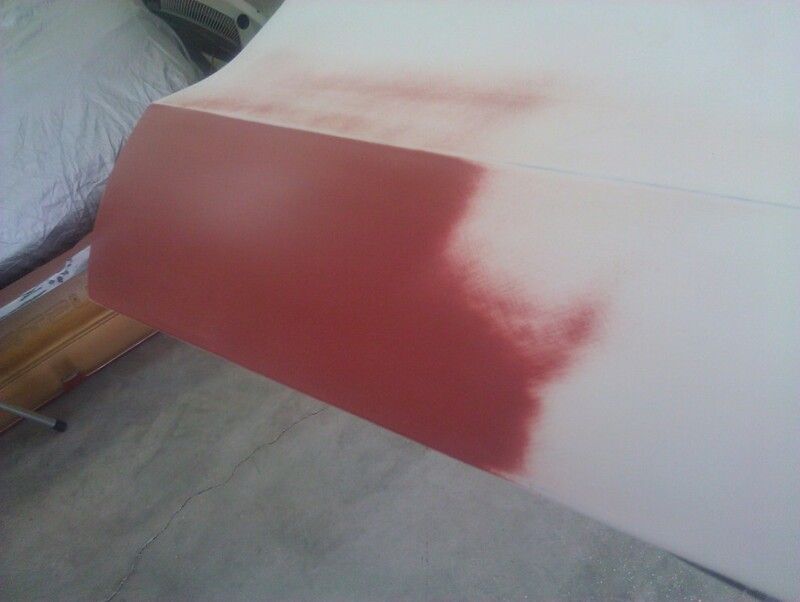 First with 400 grit paper, then finished off with 600 grit.